Mazda MX-5 Convertible Boot Space, Size, Seats | What Car? 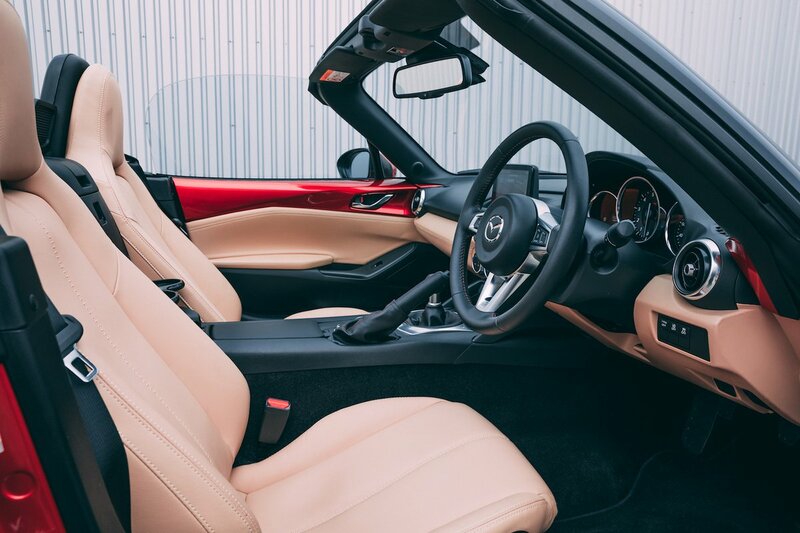 The MX-5 is a small car – and feels like one on the inside. You can touch the opposite door without stretching, so you’re in close proximity to any passenger, while taller drivers might feel that leg room is tight and the roof is a bit close. Storage space is even more compromised; there are no door bins, so the only place to stow your paraphernalia is in the shallow central armrest cubby or a shallow tray at the base of the dash that’s aptly sized for a phone. 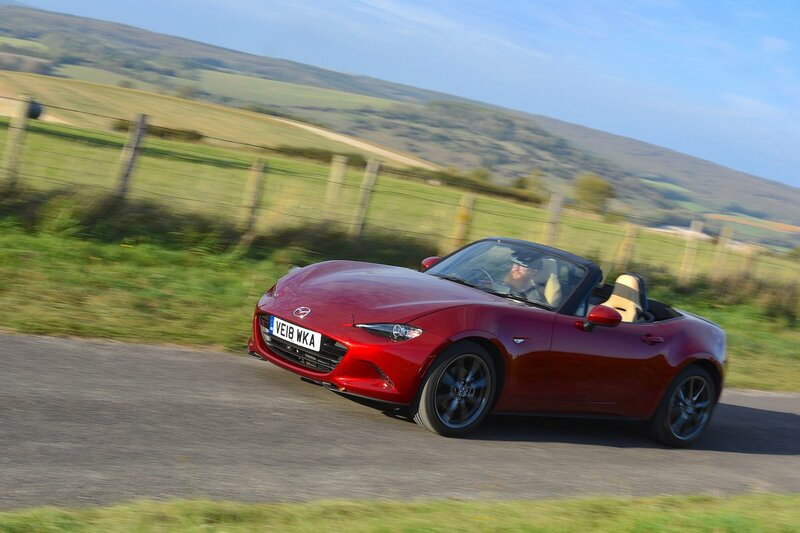 The MX-5 is a two-seater and has no useable rear space, apart from a pair of removable cupholders that slot in between the two seat backs. There is no room for a bag hook, so you’ll struggle even to squeeze a jumper into the narrow gap between the rear wall and the seatbacks. However, there is a glovebox-sized cubby behind the seats, in which you can store items such as de-icer and a windscreen scraper. The front passenger seat has a lever to control the backrest angle and to slide it forward and backwards, but you don’t get height or lumbar adjustment on any trim. 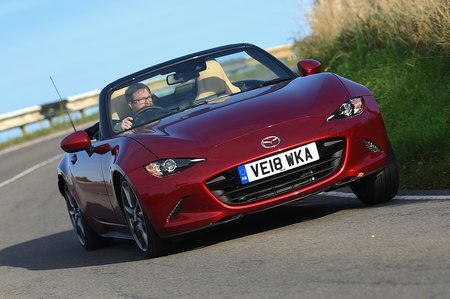 In fact, these join other niceties such as the electrically adjustable seats that more expensive convertibles offer in not even being optional on the no-frills MX-5. The boot is unaffected by the roof’s position, so you can drive with the top down and still have a reasonable amount of luggage space. Although the oval-shaped opening has a high load lip and a fairly narrow aperture so loading chunky items might be a pain, It's big enough for a couple of weekend bags and capacious enough by the standards of two-seat sports cars. A set of golf clubs will have to be promoted to the front passenger seat, though. Helpfully, the MX-5 RF only loses one litre of boot space to its metal roof origami and 'fastback' shape.